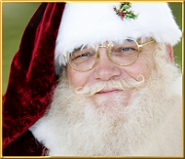 ♦ Santa Dave Strom is a Real Bearded Santa and has been portraying Santa since 2005. ♦ He has worked with children for over 20 years in Boy Scouts, Explorers, and Girl Scouts. For over 15 years, he’s done Hand’s-on Living History Presentations at grade schools, Southern California Museums (where he used to live), and the Los Angeles County Fair. ♦ Santa is a graduate of The International University of Santa Claus, a Lifetime and Founding Member of the International Brotherhood of Real Bearded Santas (IBRBS), a member of the Lone Star Santas (LSS), a member of the Regional Municipality of the North Pole and he is listed on the National Beard Registry. 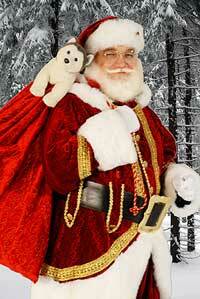 ♦ Santa is Background checked every year and insured to assure your safety. ♦ Serving the Greater San Antonio and Boerne areas.